I know I only did my 38 week update yesterday, but I got a week behind, and after being so diligent about writing these weekly bump updates, I don't want to fall at the final hurdle and miss a week! Could this be my final bump update perhaps? 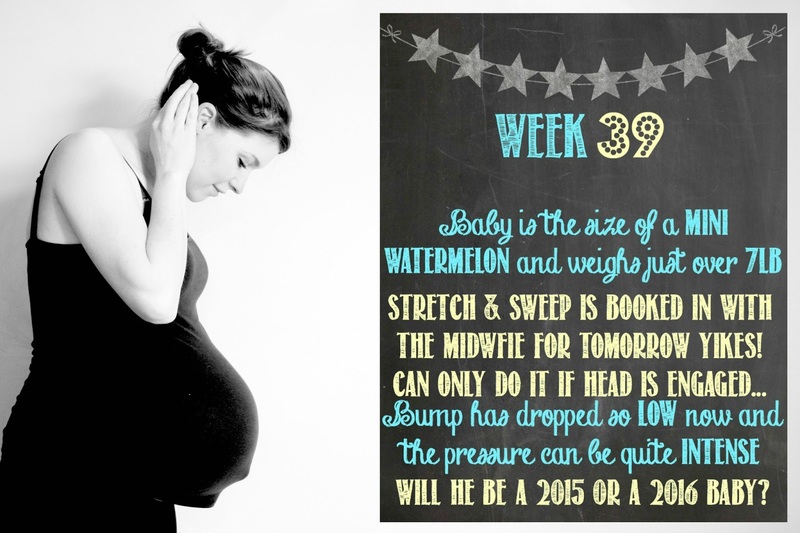 I predict I'll be writing a 40 week update but the big news this week is that I have a stretch and sweep (TMI?!) booked in for tomorrow with my midwife, at which point I'll be 39 weeks and 4 days. Normally they don't do them until you're at least between 40 and 41 weeks, but they want to do everything they can to avoid going overdue and another possible bad induction experience. My midwife has told me not to get my hopes up and that if his head isn't engaged it's too dangerous to do the procedure, and I am also well aware that it has a 50/50 chance of working (my S&S with LO didn't work). I am much less nervous about the procedure this time as I know what to expect, and having been through birth before, I don't think it'll phase me as much. We had a wonderful family Christmas which we hosted at our house during week 39 (I turned 39 weeks on Christmas day) but it did leave me feeling very drained and tired. I was up late every evening and in the days leading up to Christmas I was rushing about doing all the last minute things which are inevitable around the festive season. I am now in resting mode and realise that baby won't come unless I am feeling rested and relaxed! I do feel absolutely huge and very clumsy so need to be more careful. Sitting on the sofa or even on my ball has become uncomfortable as my bump has dropped so low it squashes the tops of my thighs! I feel utterly exhausted and I really do look very tired at the moment. I really feel ready to have him now and simply cannot wait to meet him. I do go to bed every evening wondering if it could be 'the night' but still don't really know what to expect if I do go into labour naturally this time. I really hope I do! So fingers crossed, this could well be my final bump update. I have really enjoyed documenting the little changes week by week, and more than anything, I have loved taking my black and white photos each week. 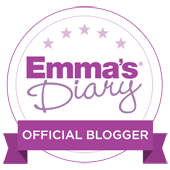 I have surprised myself that I have stuck to it so religiously, and I know I'll love looking back at how little bumpy grew stronger and bigger each week. We can't wait to meet you now little man. Weight: Same as last week- 10st 6lbs- not sure how with all the Christmas food and chocolate I've scoffed?! Sleep: Awful! I am going to bed too late and wake up for 2-3 hours every night. Looking forward to: Hopefully going into labour naturally?